I am extremely passionate about education and spoken language. I believe in the power of communication across borders and the ability to create a collaborative environment no matter a person's background. I am highly creative and push for quality, innovation and passion throughout my educational practises. October 2013-Present: Spoken Word Educator I have delivered spoken word performance and poetry workshops to all ages in various locations including primary schools, secondary schools, colleges, universities and in the community. 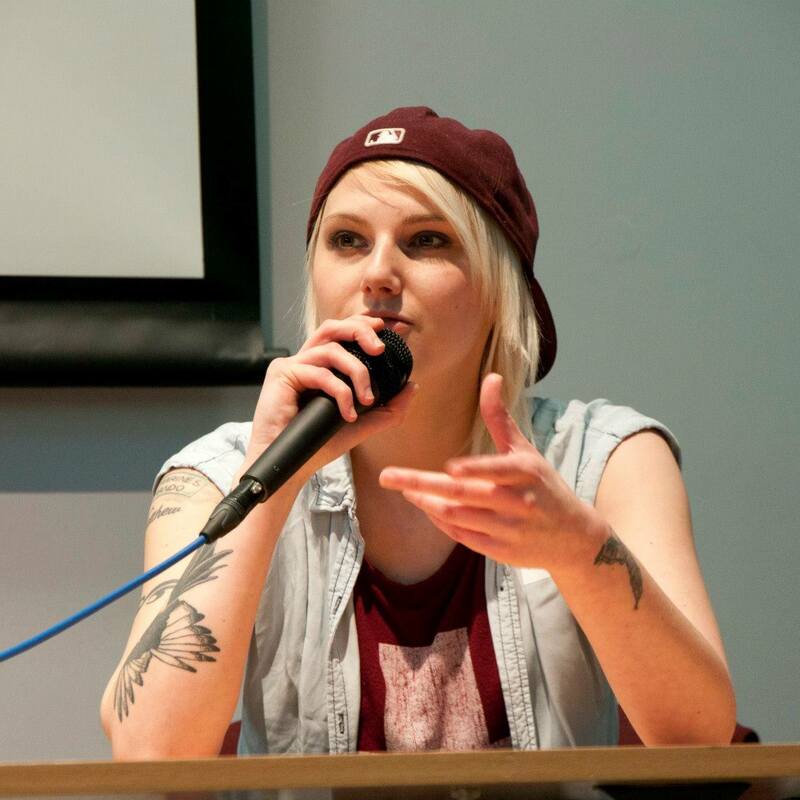 August 2015 â Present Write Minds, Nottingham â Founder/Creative Director Founded and manage an organisation delivering creative writing and arts projects to individuals affected by self harm, suicide and mental health. Including: â¢	Liaising with partners and funders â¢	Budget and cash flow management â¢	Writing funding bids and reports â¢	Organising and delivering workshops and projects â¢	Managing staff and volunteers â¢	Managing and hosting regular events â¢	Social media management â¢	Managing the creation of logos, websites and marketing materials March 2015 â November 2016 Mouthy Poets, Nottingham â Education Coordinator Managing Mouthy Poets outreach work in communities and schools and creating and leading a training programme for new Educators. Including: â¢	Liaising with schools and project partners â¢	Recruiting poets to deliver outreach work â¢	Creating and disseminating contracts to partners and educators â¢	Creation of training programme â¢	Liaising with guest tutors and artists to deliver training â¢	Marketing the education programme â¢	Researching other education programmes â¢	Supervising projects delivered July 2013 â July 2015 Harmless, Nottingham - Administrator Offering support for individuals who self harm and those affected by it, I am responsible for all administrative duties including booking appointments, finance and supporting the teamâs needs. including: â¢	Development and implementation of training programmes â¢	Managing training bookings â¢	Evaluation of all workshops, training days and events of both Harmless and its sister projects for reports â¢	Blogging and updating social media and online content â¢	Designing and updating information leaflets and promotional materials October 2014 â February 2015 Mouthy Poets, Nottingham â Emerge Day â Project Leader Developing, managing and delivering a day of workshops funded by The Mighty Creatives to young people aged 14-18. Duties included: â¢	Planning and monitoring event progress â¢	Reporting back to funders â¢	Designing promotional materials â¢	Managing a team of facilitators â¢	Facilitating a day of workshops June 2012 â June 2013 Writing East Midlands, Nottingham - Creative Apprentice Role included assisting the team with administration, marketing and writer development. Duties included: â¢	Administration, working with venues, publishers and writers, evaluation of projects for reports to funders, analysing trends, presenting reports , website management and social media marketing, writing and distributing press releases. There have been many methods and approaches developed in relation to teaching second languages. Each of these methods have their merits. I will talk in this essay about my personal method and views on teaching language and my process behind them. When we begin to speak our mother tongue we acquire the language rather than learn it through translation or specific rules. We do this through immersion in our own culture; a more natural way of learning new skills. However, we don't wake up one day and are suddenly able to speak and understand language, much rather, our parents/guardians will use different techniques to help us develop our vocabulary. These techniques include play, drama, songs, storybooks, TV and popular culture which we are exposed to in our daily routines. However, when we begin to learn a new language, for example in school, it is taught to us using a more deductive approach and grammar translation methods in which the rules and translations are explained to us, often with the use of text books and delivered in our native language. This method, although it may work for some learners, seems strange given that it is apparent that as humans we learn more conductively through acquisition; reading, listening, observing, practising, experimenting and experience. As this has been so effective early on in our lives, it seems reasonable to assume that we should implement this type of learning when teaching new languages. Therefore, my approach looks to use the types of tools our parents/guardians applied during our early years. By this I don't mean to say that we should gather in play pens and sing nursery rhymes, more that we adopt a creative approach to our teaching. For instance, it is clear that as children we develop language through activities such as singing nursery rhymes. I would propose that listening to current popular music, singing and recording these songs enables students to enjoy learning language whilst enabling them to develop new vocabulary through learning lyrics. The benefit of creative arts in language learning doesn't end there; It is proven that immersion in culture is an incredibly important tool when it comes to learning language. How better to experience culture than through the creation of drama within the target language? In fact, there is more to language and communication than the words themselves. My experience working as a poet and engaging with poetry in several languages has taught me that the communication of emotion is just as important as knowing which words to use. When it comes to poetry and drama, we cannot translate a text word for word as this can often lead to a break down in meaning. Much rather, we must understand the context in which a text is written, poem is spoken, or play is acted out in order to understand the meaning behind it. I believe this is much the same with conversation and so my teaching approach is based within this ideology and the communication of emotion is a key learning outcome throughout my teaching approach. In addition to understanding context, creating drama and creative pieces also benefits a student's fluency and pronunciation; skills that are essential in order to use the newly learned language in a functional way. Having spoken about the benefits of using creative arts within language learning, I feel it important to add that a syllabus created entirely around this approach could be somewhat detrimental as it underestimates the importance of learning the grammatical and pragmatic areas of language. Therefore, I propose to develop a mixed syllabus; a combination of a creative arts, structure based and a function based syllabus. This ensures the students have opportunity to develop their knowledge of how language works in order to construct conversations in every day life. This type of learning should be conducted in parallel to creative projects within "language function" classes. With this in mind, the syllabus is organised on a learning curve that progresses through levels of difficulty. For example, a lower level, P2 class may work with a play such as Cinderella, using simple language and ideals whereas a higher level, P5 or higher class may work with something much more complex, such as George Orwell's Animal Farm. Using and studying texts whilst undergoing these creative projects will give the teacher opportunity to introduce the pragmatic rules of language in collaboration with teachers who use a more pragmatic approach. An example of how this can plan out over a 2 our session is demonstrated below. Tell me how you are feeling today using an appropriate action to demonstrate this feeling. Each student to copy this feeling and action. Present a SHORT scene to the group. Ask students to read through segments of the text - after segment ask 1 student to summarise the action within the segment and another to identify the feelings within it. Provide each group with a DIFFERENT short scene or segment. Ask the students to analyse the scene the way you have just demonstrated. Students develop independent analysis of language. Ask the students to create their own version of the scene and prepare a performance for the rest of the group. Students to perform piece to group. After each group ask the audience to summarise what is happening within the scene. The type of lesson planning outlined above demonstrates the importance that planning has on a student's learning objectives. Including these objectives within the plan allows the teacher to ensure they're reaching the appropriate progression points within the syllabus. Working on a progression curve adds a greater level of importance to student assessments. I mentioned earlier that a key learning outcome of this approach is the ability to communicate emotion. This will be assessed during performances. To elaborate, the students will be assessed on how accurate their interpretation of the piece is to the original but also the level in which they enable the audience to understand what they're attempting to communicate through their adaptation. In addition to this, the students will take part in speaking and listening assessments at the end of each teaching "term" to grade their functional knowledge. The model suggested in the lesson plan above is similar to the ESA model of teaching (engage, study and activate) where the students are encouraged to engage from the beginning of the session and throughout. But it is also reminiscent of the GRO method (grow knowledge, rehearse, optimise) where the students are encouraged to relate the newly learned material to their own lives. It may also be likened to both the Total Physical Response and the Communicative approaches to teaching in that students are inspired to use physical movement to elicit meaning and learn inductively through listening and speaking. However, this method includes a stronger reading thread than we'd expect to see in either TPR or the Communicative approach. This approach relies heavily on the student; they are to take a significant role in their learning as communicators rather than acting as a passive audience. Therefore, the teacher's attitude must reflect this in that they should be a facilitator and model as appose to an executor and should be flexible in adapting to the individual learning needs of the student. The teacher must be aware of the physiological space as well as intuitive to a student's emotional needs. Maslow's triangle teaches us that we must ensure the base level, or physiological foundation i.e. the temperature and set up of a classroom, must be stable and supportive to be conducive to learning. Further to this, a student's mental and emotional welfare undoubtably affects their ability to learn and interact in a productive way. In my teaching experience I have learnt that students learn better when they feel safe and confident in their environment and with their facilitators and peers. With this in mind, it is of upmost importance that teachers adopt a confident and open approach to their interaction with students by modelling this attitude to students who will often imitate or reflect this. This should also be at the forefront of the teacher's mind when it comes to correction or praise within a session. Teachers should correct in a positive manner and always enable the student to self correct if they are able to do so, avoiding patronising behaviour that can knock a student's confidence and often creates an unbalanced relationship between teacher and student, a balance that can be maintained through mutual respect and praise. In conclusion, the teaching approach I adopt combines the functional and creative uses of language, providing the students and teachers with numerous collaborative opportunities for working with different subjects like music, theatre and literature, and functional skills in order to develop and progress further.